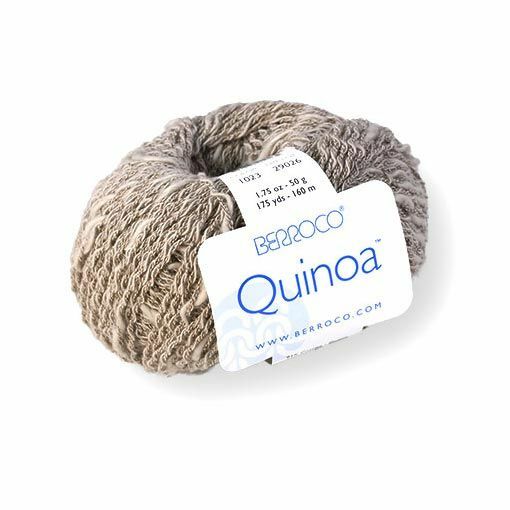 Berroco Quinoa is all about marled color and thick-and-thin texture. This heavy dk-weight yarn blends cotton and nylon into a machine washable summertime favorite. Garments knit out of Quinoa will be stylish and lightweight to wear. The textured nature of this yarn looks best when mixed with simple stitches. A great yarn to add some spice to your summertime wardrobe when knit into tanks, tunics, tees, ponchos and shawls.